On September 17, 1787 the drafting of the American Constitution was complete. The proposed document was not without its detractors and several delegates who participated refused to sign the document. A major objection was the lack of specific protections for individual freedoms. The document provided that it would become effective with the ratification of nine states. As the ratification process proceeded, there was a continuing objection by the Constitution’s opponents about the lack of a Bill of Rights. The debate that followed would result in the Ninth Amendment. 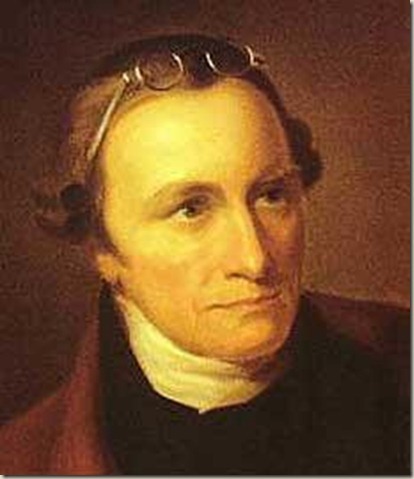 The Federalists asserted there was no need for specific freedom protections, as the proposed government was one of specified powers. In fact, the Federalists said, a Bill of Rights was dangerous because it would be impossible to list all rights and leaving some off would imply the new government was free to violate them. The Anti-Federalists failed to find these arguments convincing. The Federalists ultimately promised that after ratification amendments would be introduced to address these concerns. With that promise, the Constitution was ratified. The Federalists won control of the First Congress and keeping the promises made during the ratification debates, in 1789 proposed and sent to the states a group of twelve amendments. 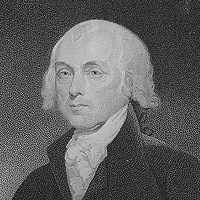 The primary architect of the proposed amendments was James Madison. Madison had to deal with the argument that not all rights in need of protection could be included and the concern that naming specific rights would exclude others. Seven of the first eight amendments are fairly well known. Among the rights guaranteed are free speech, free press, freedom of religion, right to counsel, right to remain silent, right to bear arms, right to a jury trial, and right to be free from cruel and unusual punishment. The Third Amendment right to not have soldiers quartered in one’s home is nearly forgotten. The rights defined in the first eight amendments are known as enumerated rights. 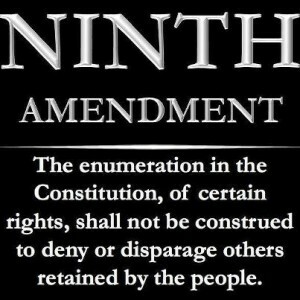 The Ninth Amendment provides the basis for recognizing other, “unenumerated” rights, generally considered to arise from both natural law and the country’s common law traditions. The import of the Ninth Amendment is that such rights exist and no constitutional grant of government power extinguished those rights. These rights and others commonly recognized are never mentioned in the Constitution, but are recognized by the Supreme Court and society generally as having constitutional protection. This is consistent with the founding philosophy expressed in the Declaration of Independence “that all men are created equal, that they are endowed by their Creator with certain unalienable Rights”. Of the 55 participants 39 signed, of those who did not, most had left Philadelphia. Elbridge Gerry of Massachusetts, Edmund Randolph and George Mason of Virginia—refused to sign because they were dissatisfied with the final document. This was the term by which the Constitution’s supporters became known. These powers are known as “enumerated” and primarily found in Article II, Sec. 8. The Constitution’s opponents. Among them was Patrick Henry. Americans owe a great, generally unrecognized, debt to the Constitution’s opponents who insisted on corrections for the shortcomings in protections for individual freedoms. The ratifying conventions of the various states submitted over 150 suggested amendments along with their ratifications. “Fairly well known” is employed loosely. The First Amendment contains five rights and only one in a thousand Americans can name them all. It is of note that for over 170 years, until 1965 in Griswald v. Connecticut, the Ninth Amendment was not a tool for the Supreme Court to find a law unconstitutional. The Connecticut law involved limitations on availability of contraceptives for married couples. 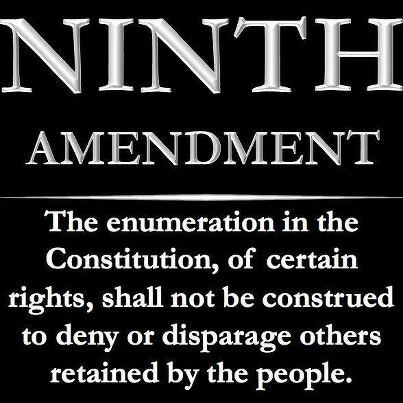 Like the rest of the Bill of Rights, the Ninth Amendment was originally directed to the federal government. Most protections of the Bill of Rights have been applied to state governments by virtue of the Fourteenth Amendment.